We offer a unique 24/7 emergency service, offering bespoke fittings made to suit any piping problem that may arise. 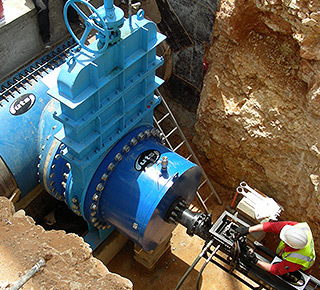 Founded in the mid 1990’s as a supplier of couplings, flange adaptors and repair clamps to the UK water industry, UTS Engineering now boast a first class portfolio of products to service pipelines around the world. We pride ourselves on our reputations for a willingness to work with you in providing the most cost effective solution for your business. Whether you require a single pipe fitting or fabrication, our innovative under pressure drilling services or a substantial maintenance contract; you will receive the same levels of service, professionalism and quality that has got us where we are today. 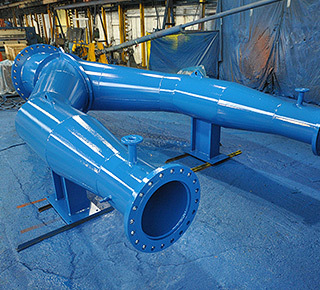 UTS Engineering can design and manufacture any steel fabrication for the piping industry. Click below to find out more about our steel fabrications. 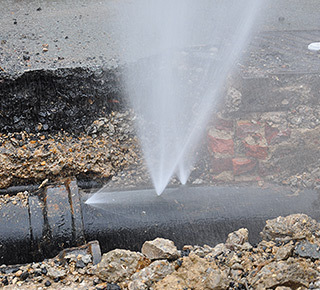 UTS Engineering have a range of solutions for emergency pipeline repairs. Click below to find out more about our repair clamps. UTS Engineering are global specialists when it comes to performing under pressure drilling services. Click below to find out more about this innovative service. Click to view our range diverse range of products and services for the piping industry. Our flange adaptors range will join any flanged fitting to a spigot end pipe. Our range of straight couplings are designed to join spigot end pipes with the same outside diameter. Our stepped coupling range is designed to join spigot end pipes with different outside diameters. Designed to join spigot end pipes which have a difference in outside diameter greater than 50mm. Our dismantling joint range allows for longitudinal adjustment on flanged pipe systems. Provides you with the opportunity to for a flanged pipe to branch from an existing line. Our End caps are the ideal solutions for capping off spigot end pipes on a temporary or permanent basis. © Copyright UTS Engineering. All rights reserved.